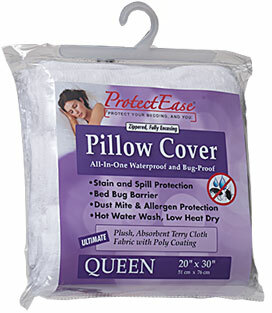 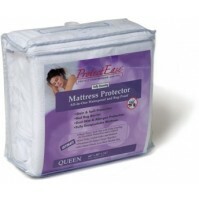 ProtectEase® ULTIMATE Fitted Mattress Covers feature quality and performance tested materials. The mattress covers provide a water, stain and spill proof barrier that is durable, quiet and comfortable. 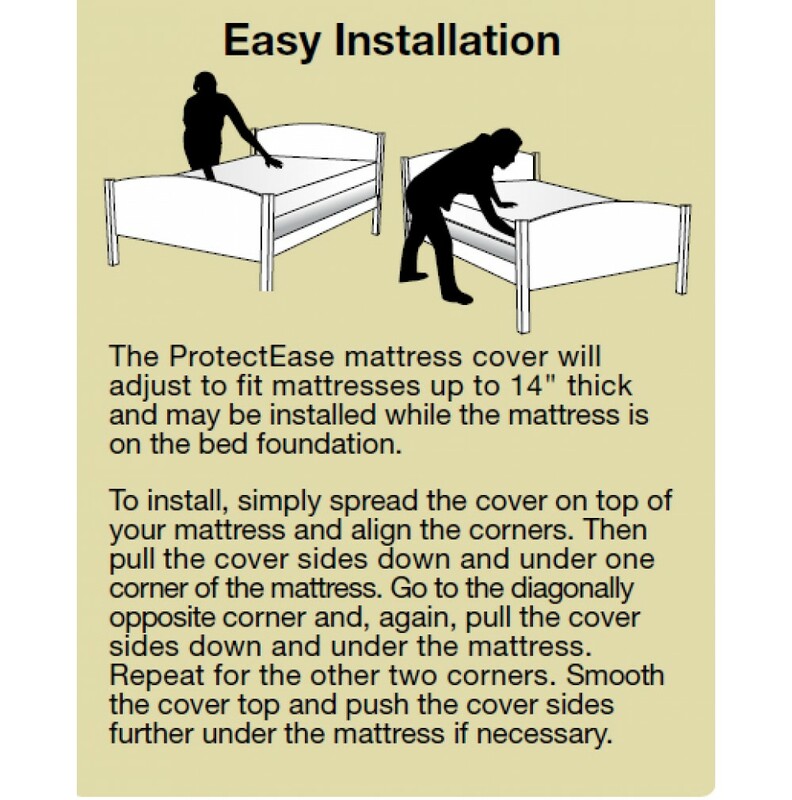 The elasticized sides adjust for a snug fit on any mattress up to 14 inches thick. 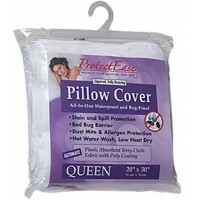 Machine wash with hot water and tumble dry on low heat. 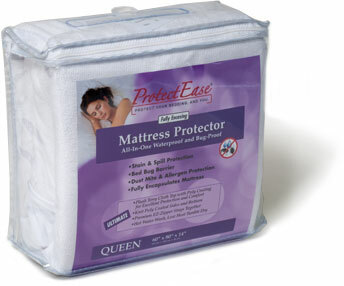 Include linens and/or towels in the washer and dryer loads for best results. 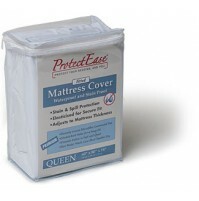 ULTIMATE: Our ULTIMATE cover top is made of plush, poly coated terry cloth fabric (100% Polyester Jacquard Knit w/ PU Laminate) for exceptional comfort and protection. 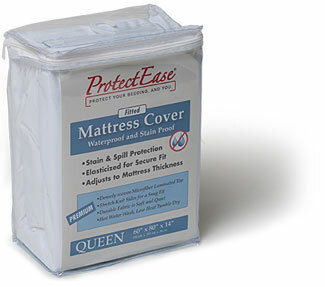 The absorbent surface helps keep liquids from running off the mattress onto carpet or flooring. 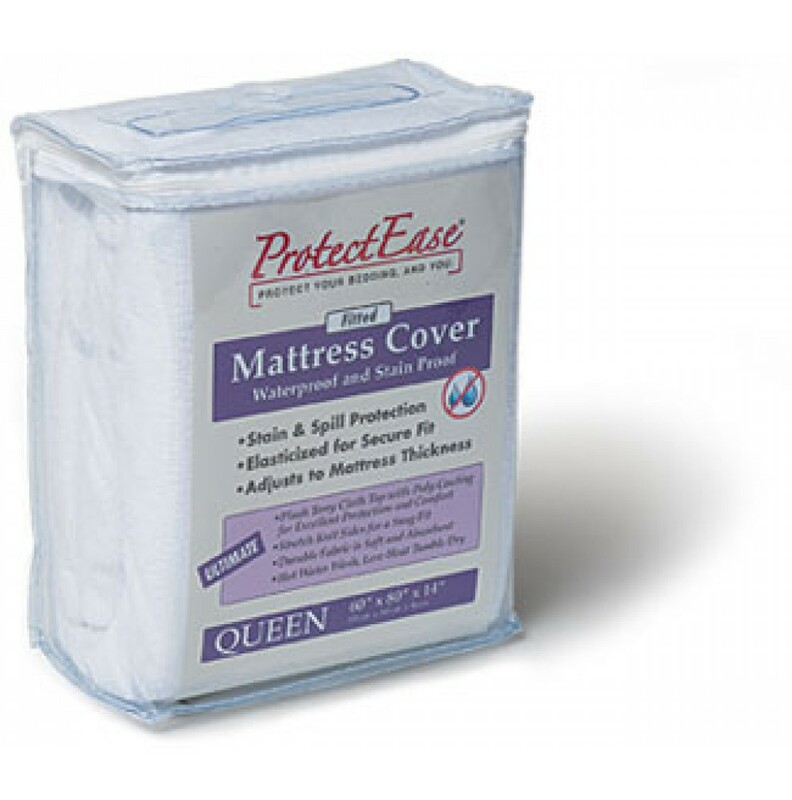 The 100% Polyester Stretch sides are fully elasticized to provide a snug fit.